A joint security operation led to the arrest of five pangolin poachers in Vaalwater, Limpopo earlier this February. 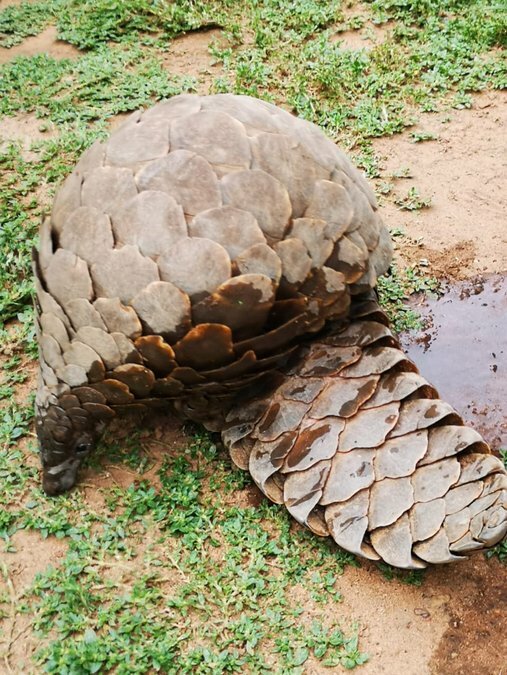 “We received word of a pangolin sale in the area and immediately followed up”, says Kassie Knoetze, Head of Security at Welgevonden Game Reserve. Kassie and his team went on to lead a joint security operation during which they intercepted the deal and arrested five suspects. Based on the available evidence, two individuals were directly linked to the crime and have since been detained. 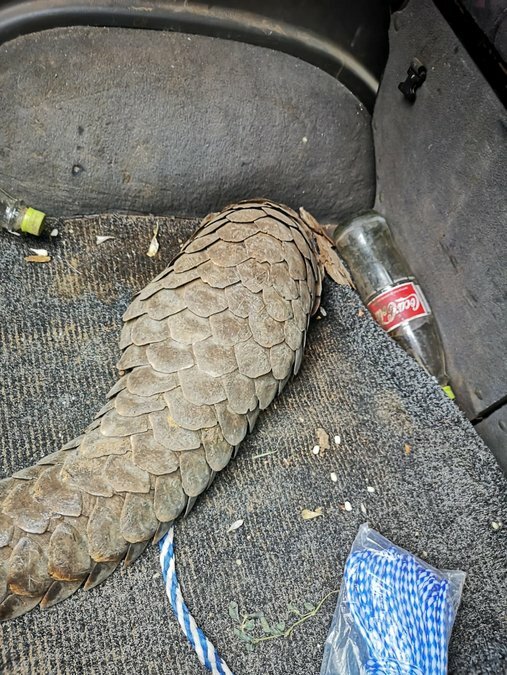 The pangolin, a female that was poached in the Waterberg region, was found in the boot of the perpetrators’ vehicle and is believed to have survived up to two weeks in the wildlife trade without food or water. The animal was rushed to a veterinary clinic in Modimolle where she was successfully stabilised before being admitted to the Johannesburg Wildlife Veterinary Hospital. The African Pangolin Working Group, established in 2011, works closely with the Johannesburg Wildlife Veterinary Hospital to protect and rehabilitate pangolins across Africa. 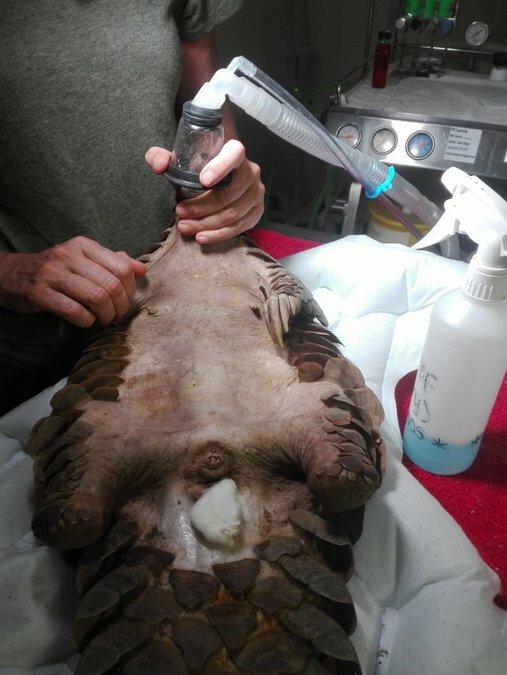 “This young female pangolin is severely compromised, dehydrated and malnourished. Her full recovery depends on her ability to regain her strength, fight infection and to start foraging naturally as soon as possible,” says Ray. 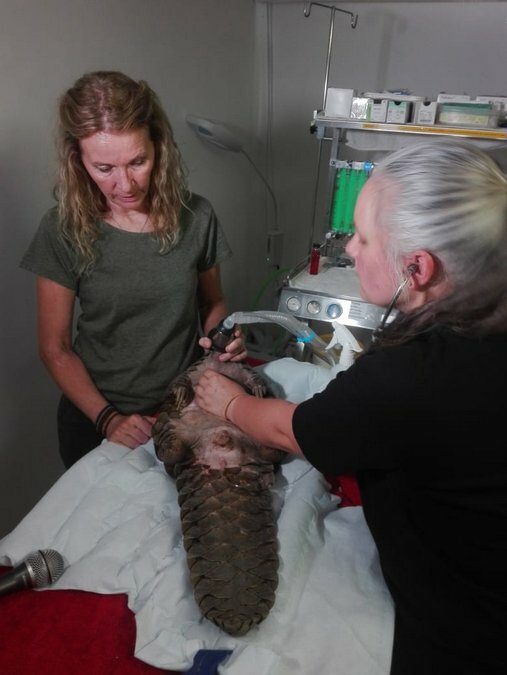 Ray and his team will oversee the rehabilitation of the pangolin, a process that will hopefully lead to her reintroduction back into the wild. The arrest would not have been possible without the collaborative efforts of Welgevonden Game Reserve, SAPS’s Endangered Species Unit Limpopo and Quemic (a safety and security company based at Shambala Game Reserve). “Once again we see that combined efforts and joint initiatives are the key to successful operations and the safe keeping of South Africa’s wildlife species,” says Kassie. This is the first pangolin poaching related arrest in the Vaalwater area.